I live in a pretty crazy country. There are a lot of laws, but no-one really obeys them. Germany also has a lot of laws, but they’re probably a lot more law-abiding than South Africans. That will be tested (again) this weekend, though. Because it’s Tanzverbot time. With restrictions varying across the country’s 16 states, the dancing ban, or ‘Tanzverbot’, effectively bars public dancing on the Christian holiday. In some states, including Hesse, the ban lasts for more than one day. Now authorities in Frankfurt, the biggest city in Hesse, have vowed to crack down on anyone who ignores the ban that’s in place from Thursday to Saturday. Bizarre. And stupid. The most irritating thing about Christian holidays here is that the bottle stores close – which is equally bizarre and stupid – but you can still dance! “Even those who do not belong to a religion themselves should show respect for the feelings of others,” said the Uwe Becker, the CDU politician who is head of the church department in Frankfurt. Indeed. Because there’s nothing that ruins a religious holiday more than some people you have never met, dancing in a nightclub in the city centre while you’re fast asleep 20km away in the suburbs. So disrespectful. I’m very glad we don’t have such a silly law here. Not that anyone would take any notice anyway. This tweet was of the first things I saw when I logged on this morning. And oh, well played, that man. My goodness! Some water for that burn, ma’am? Things were going well. We’d escaped from the more difficult Escape Room at HintHunt in Woodstock. We’d great burgers at Redemption, and then we came home and the internet broke and then the football happened. I tried to fix things with beer and a braai, but I’m still irritated. Tomorrow had better be a lot better. Now, this might sound a bit OTT, but I can remember being put off going into both Science and Cookery after seeing Beaker and the Swedish Chef on The Muppets. Also, I was strongly dissuaded from buying any ACME products because of the stuff I watched on the Roadrunner cartoon. Windy Miller from Camberwick Green put me right off living in a windmill, and I studiously avoided being educated in east London because of Grange Hill. After all, who’d want to be beaten up for dinner money by Gripper Stebson? In fact, the only thing I ever did that bucked this trend was quite regularly having a pee, despite having seen Bob Holness being asked for one on Blockbusters. 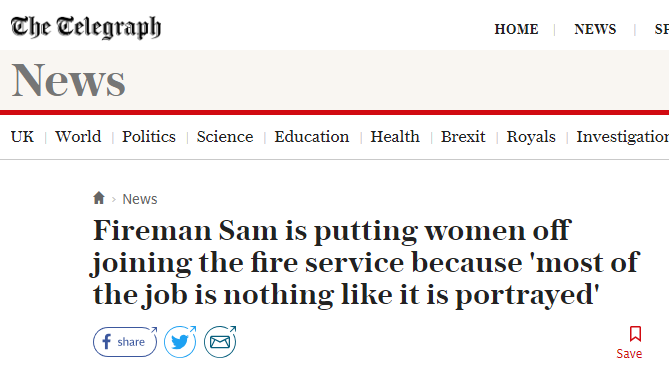 Anyway, given this sort of criticism, I think we can all see the forthcoming demise of the misleading and kids TV show Fireman Sam. After all, it would be awful if anyone headed to south Wales only to find that the village of Pontypandy is actually completely fictitious, just like the rest of the CGI cartoon series. * Eyes roll back so far that I can see my own arse. The thing is with shops like this, it’s not just those choosing to enter the store (although why on earth would you?) who are affected by the stench. Just walking past the front door is bad enough. Of course, it’s worse in the enclosed area of a mall, but I can remember some genre of soap shop on Cornmarket Street in Oxford (it may well still be there), which polluted the entire left hand side of the street. 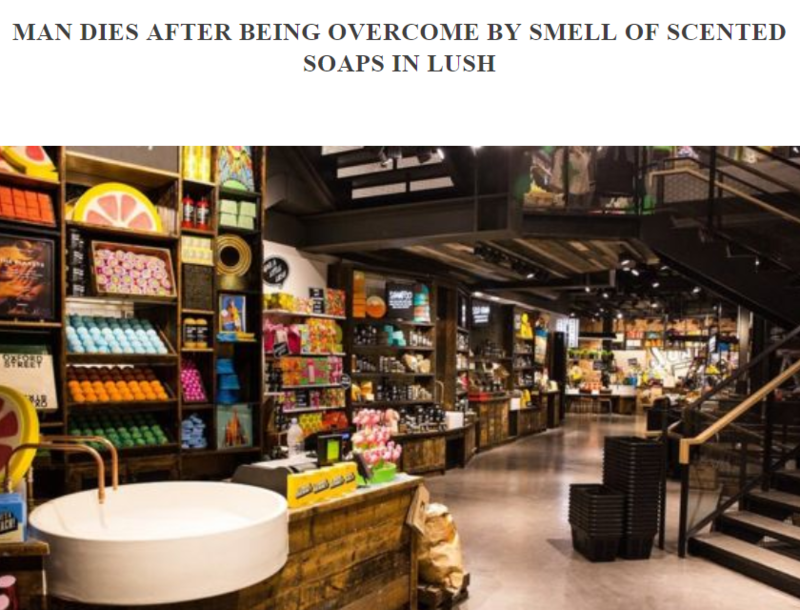 Professor Mervyn Sprick from the University of Vange has called for ‘immediate emergency measures’ to be put in place at all shops selling three or more varieties of scented girly products. He added: ‘This has been a tragedy waiting to happen for a number of years. I have walked past these shops before and people have been complaining of crippling headaches more than 500 yards away. I couldn’t agree more. 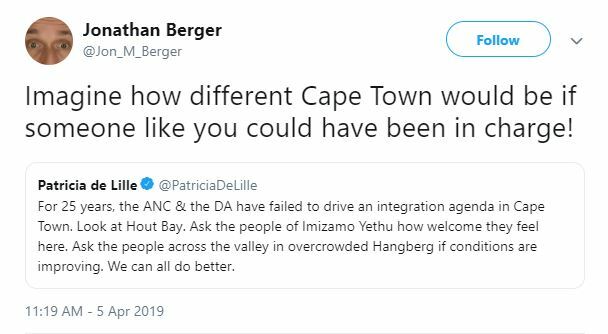 I now take the longer route around the block to get to the Mugg and Bean entrance of Cavendish Square instead of the direct route, simply to avoid the dangerous malodour wafting from the local branch of Lush. If we were discussing airborne pathogens here, there would be strict rules and regulations in place. It amazes me that outlets like this continue to brazenly poison the public with noxious fumes with absolute impunity. It’s only a matter of time until there are deaths in SA from this too.